Hi guys! Are the following sentences used correctly in this situation? 1. Excuse me! Would you mind removing your hair so that I can see my screen clearly? 2. Excuse me! Your hair is blocking my screen. #2. The first sounds like removing the hair from the head. Tho both are more polite than what I'd say! 4. TSA has confiscated my scissors, which is unfortunate for you, because I may have to remove your hair another way. 5. Pardon me, would you mind if I dispose of my chewing gum on the tail of your horse? 6. Excuse me. 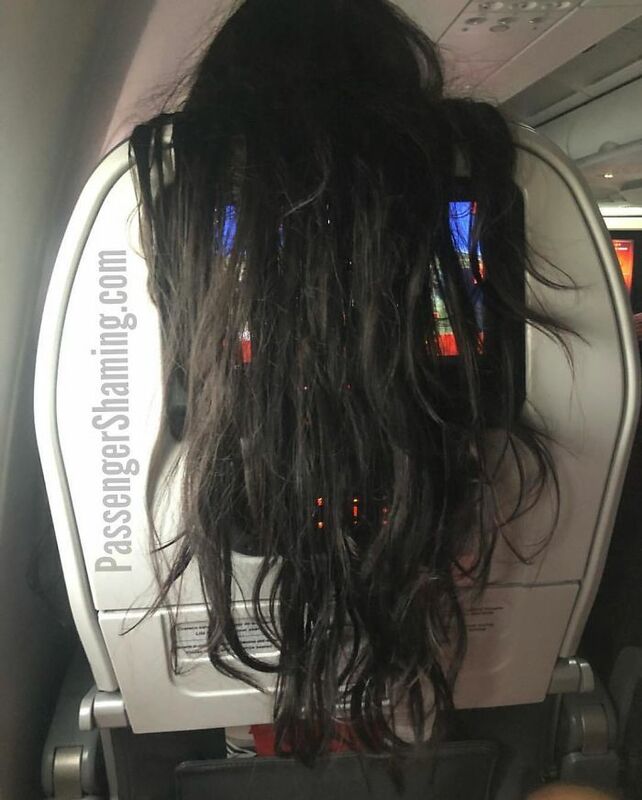 Will you remove your hair from my seating-area, or will I kick your seat from here to La Guardia? 7. Sorry, Miss, but you might want to check your wig for embedded trash. 8. Hello. I posted your hair on Facebook, and one of my friends has asked me to buy it for him. How much is it? I am intrigued by your use of "miss". In my experience, albeit limited, a "Miss" will have very kempt hair whereas the hair in the photograph appears unkempt. This suggests, to me, a "him". I would like to thank you all very much for the witty versions.